To me, Voice Dialogue is one of the most powerful, non-judgemental, safe and loving ways to help my clients to explore their inner dialogue. It brings more freedom of choice, a greater capacity to lead oneself and more self acceptance. Besides that, Voice Dialogue is a lighthearted and adventurous way to discover new insights and develop more effective ways to behave. Additional Modalities: Apart from Voice Dialogue I have followed post-academic education in the field of training, coaching, groupdynamics, psychodrama, mentalisation based treatment, psychopathology, Theme Centered Interaction, teamtraining and organisational development. Judith Budde is the owner/director of het Balkon (Conference- and Education Centre) and she is working as senior management & teamtrainer and coach (since 1987). She uses Voice Dialogue in the business area, with managers and professionals. She teaches Voice Dialogue to trainers, coaches, psychologists etc. and publishes about Voice Dialogue. She also organizes retreats with Voice Dialogue for personal and professional development. Judith is co-author of 'Ik (k)en mijn ikken. Ontdek andere kanten van jezelf met Voice Dialogue', also available in English: 'Me, My selves and I. Discovering other sides of yourself with Voice Dialogue.' 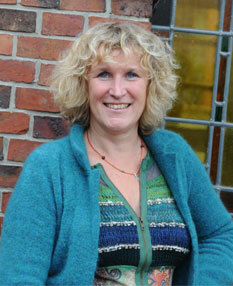 She is also co-author of the book 'Drama in bedrijf', about working with dramatechniques in training and coaching.